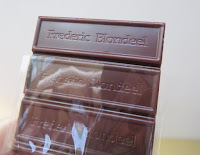 Welcome to Day #4 of Chocolate and Africa Theme Weeks. As part of a planned two-week virtual trip, we've been working our way across this great continent, from East to West, starting with Madagascar. 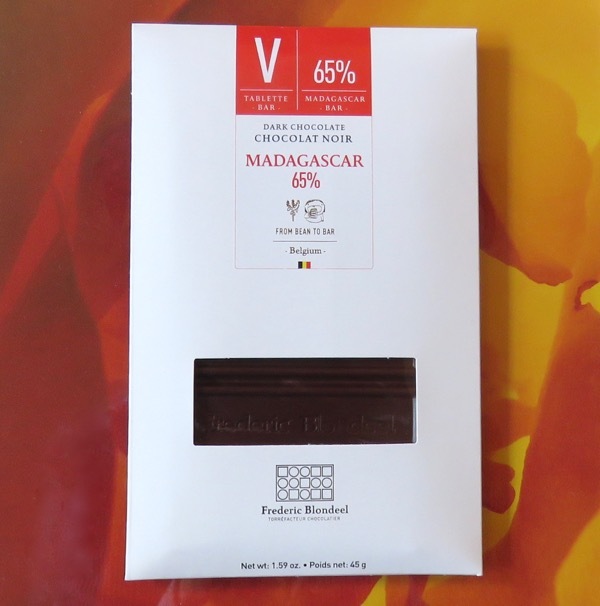 Today's chocolate, Tablette V* Madagascar bar from Frederic Blondeel (Veurne, Belgium), weighing in at 65% cocoa solids, contained a bit more sugar than other dark bars this week. 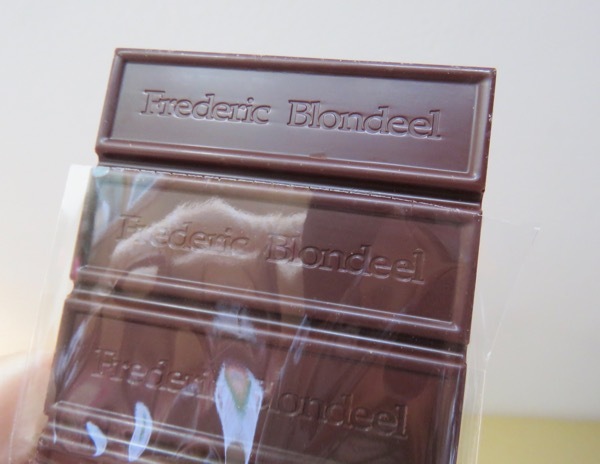 It conjured up flavors from a sumptuously sweet breakfast: a dark chocolate milkshake with a berry waffle with a small cup of smooth coffee on the side. 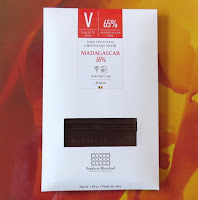 *Tablette means bar; and today's Tablette V 65% Madagascar bar was number five in a series of ten single origin bars produced by Frederic Blondeel.